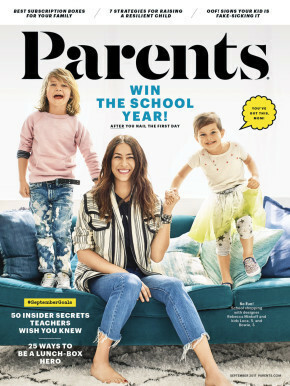 Just wanted to pop in to urge everyone to check out the September issue of Parents magazine, which features a beautiful new redesign including a brand-new font! Just look at that lowercase "a!" It's been an honor going through the redesign process for the front-of-book, and really rethinking what we want moms to experience when they open the magazine—finding that right mix of humor, service, and heart. Take a look at the September FOB and see what you think. Before we launched our big redesign, I got to do a couple of super fun pieces for August that I'm particularly proud of, too.